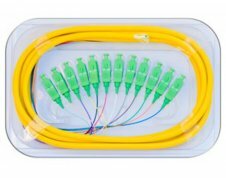 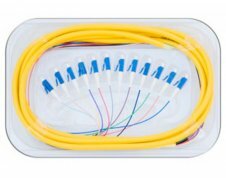 SC - 900 Micron Simplex Fiber Pigtail Multimode 62.5/125, 3 Meters in length, white. 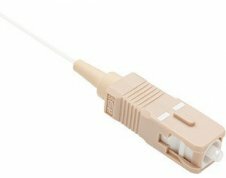 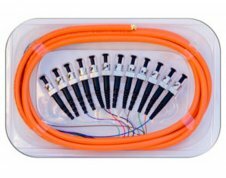 3 Meter SC Multimode 62.5/125, 900 micron simplex fiber pigtail, has a SC connector on one end with a blunt end on the other. 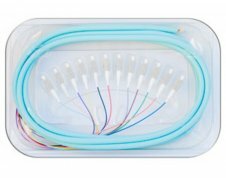 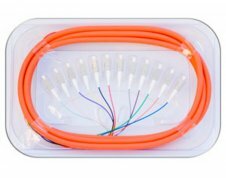 These pigtails are commonly used for splicing on to outside plant or riser rated fiber optic cables. 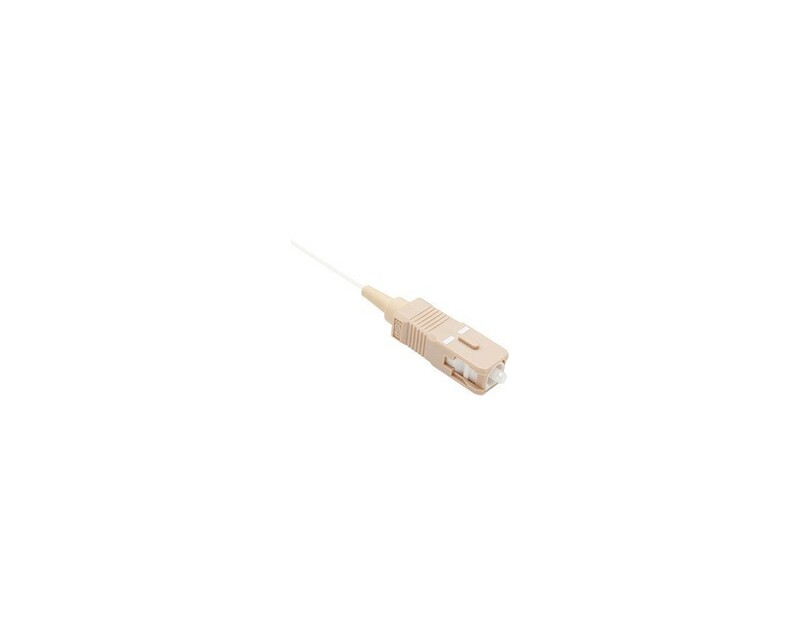 The 900µm coating is tight buffered and is white in color.